In honour of guerilla leader and revolutionary Che Guevara, 50 years after his execution by the Bolivian Army, we share a reading list of titles on Cuba including a new edition of the bestselling graphic biography Che by Spain Rodriguez, edited by Paul Buhle. From the story of five Cuban spies held captive by the United States in the 1990s to recent developments in Latin American politics, Verso's Cuba reading list gives a rich insight into the Cuban Revolution, as well the artists and writers who are tracing a new socio-cultural map of the island today. On the fiftieth anniversary of Che’s death a new edition of the bestselling graphic biography. 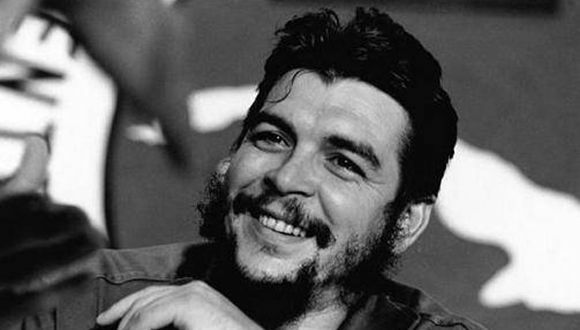 Since his murder 50 years ago in Bolivia, Ernesto “Che” Guevara has become a universally known revolutionary icon and political figure whose image is among the most recognizable in the world. This dramatic and extensively researched book breathes new life into his story, portraying his struggle through the medium of the underground political comic—one of the most prominent countercultural art forms since the 1960s. Spain Rodriguez’s powerful artwork illuminates Che’s life and the experiences that shaped him, from his motorcycle journey through Latin America, his rise to prominence as a leader in Fidel Castro’s revolutionary movement, his travels in Africa, his involvement in the insurgency that led to his death in Bolivia, and his extraordinary legacy. Revolution in the Revolution? is a brilliant, pragmatic assessment of the situation in Latin America in the 1960s. First published in 1967, it became a controversial handbook for guerrilla warfare and revolution, read alongside Che’s own pamphlets, and remains fully as important as the writings of Guevara. Cuba has been in a state of massive transformation over the past decade, with its historic resumption of diplomatic relations with the United States only the latest development. Speeches by Fidel Castro in response to the US administration's attempt to isolate Cuba, introduced by Tariq Ali. Ciro Bustos was Che Guevara’s Argentinian lieutenant, fighting beside El Comandante in Bolivia. Here, for the first time, Bustos tells his story. The New Mole is a major new analysis of recent developments in Latin American politics by one of the continent’s leading political thinkers. The exchange of ideas makes history as surely as the exchange of gunfire. The Age of Globalization is an account of the unlikely connections that made up late nineteenth-century politics and culture. In particular, Benedict Anderson examines the links between militant anarchists in Europe and the Americas and the anti-imperialist uprisings in Cuba, China, and Japan.